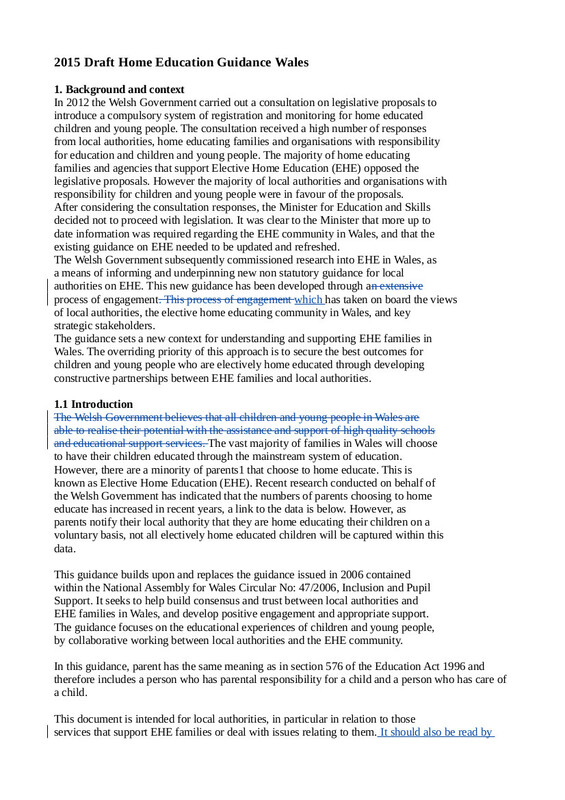 This is the first of a series of blog posts commenting on tracked changes to the draft Elective Home Education Guidance for Wales. The public consultation closes on July 3rd. Since it is hoped that the Guidance will have an impact on the behaviour of schools, there should be an expectation that school staff will actually read it. 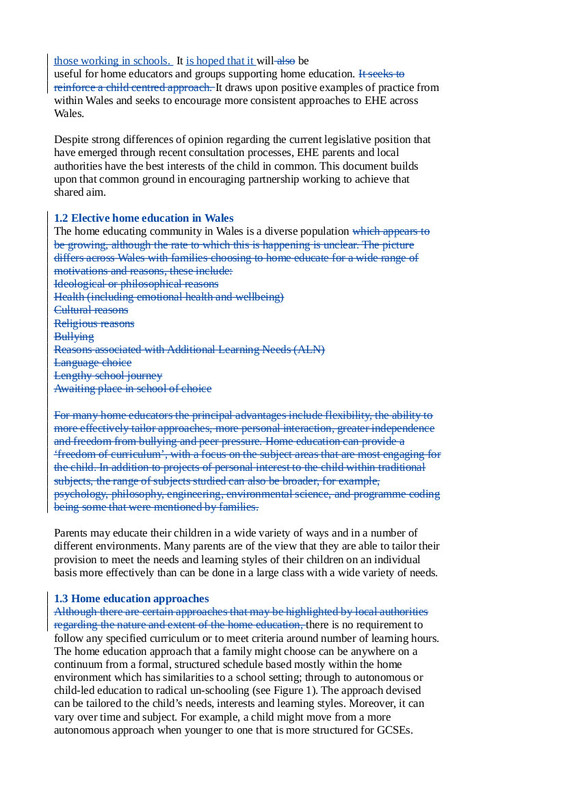 Can’t see what purpose is served by including a long list of reasons why families might decide to home educate. It just takes up space. Nor can I see a reason for enumerating the advantages of home education. The main thrust of the draft Guidance is annual monitoring and interviews with children, and this is in no way softened and made more family-friendly by saying something about the freedom to choose non-school subjects. ‘Certain approaches may be highlighted …’ is unnecessarily confusing. The plain fact is that home educators aren’t required to follow a curriculum and that there is no definition of full-time for home education. Why not just say this?